Apparently, Europeans all have a similar dish, British call it chocolate biscuit cake or hedgehog slice, Danish Kiksekage, and Italians salame di cioccolato just to give you a few. 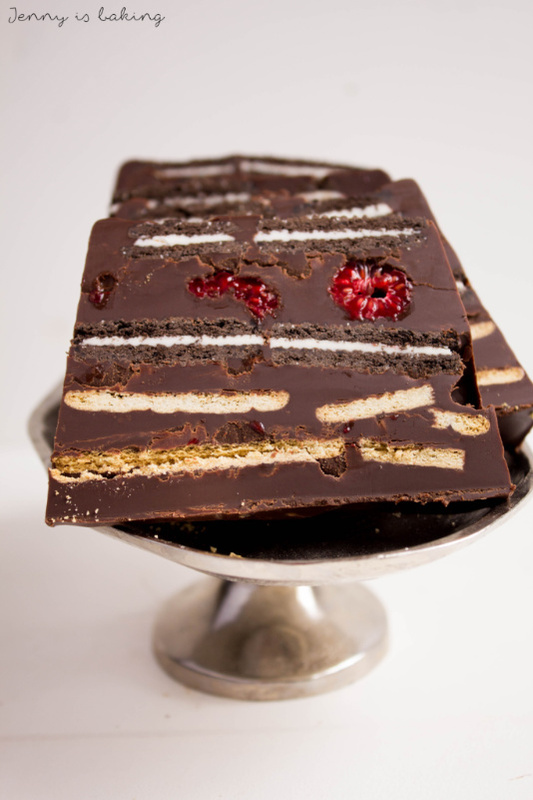 The basic idea is to sandwich very plain cookies, such as graham crackers, together with some melted chocolate. I am sure you will understand why this dish is so popular among children. But anyway, let’s give the floor to Nina who added a nice twist to this classic German dish. 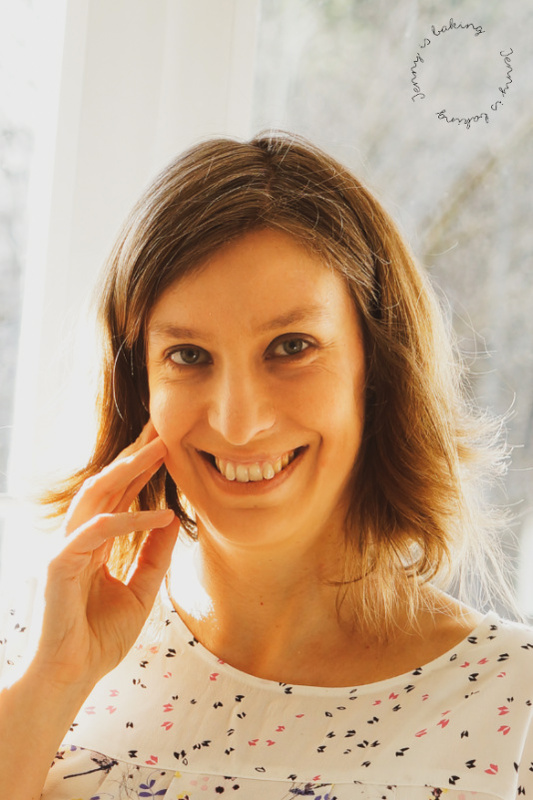 Hi everybody, my name is Nina and I blog on Törtchen – Made in Berlin (cupcakes made in Berlin). As my blog name indicates, baking is my passion. You will find a chaos of ingredients in my kitchen and the scent of freshly baked goods on my walls. My blog contains mostly sweet, but also some savory dishes, and a few restaurant and travel tips. 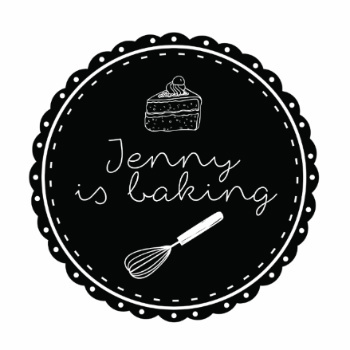 I am happy that Jenny invited me to celebrate her first blog anniversary with me. I won’t come without a cake to her coffee invite. 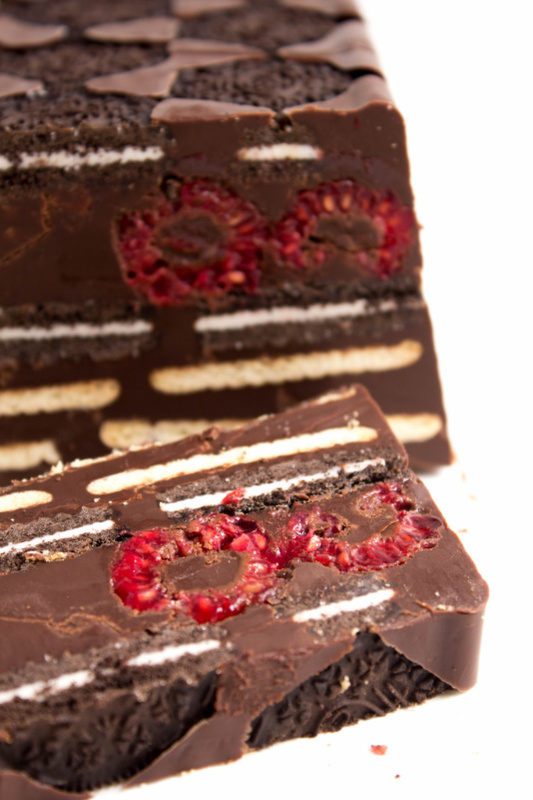 I am going to present a classic German birthday cake to you with oreo cookies and raspberries. Nina, I am so very happy you are introducing the recipe here, it was one of my favorite as a child, so let’s see how to make it! Cut both chocolates into small pieces. Heat the heavy cream in a large bowl on the stovetop, add the espresso powder. Add the chocolate to the hot heavy cream and melt while stirring, then also add the coconut oil in smaller chunks. It should all come together in a homogeneous thick batter. Place either some plastic bag/wrap or aluminium foil around the loaf pan to get out the cake in one piece easily. First layer loaf pan with oreos, then add the chocolate mix until cookies are covered. 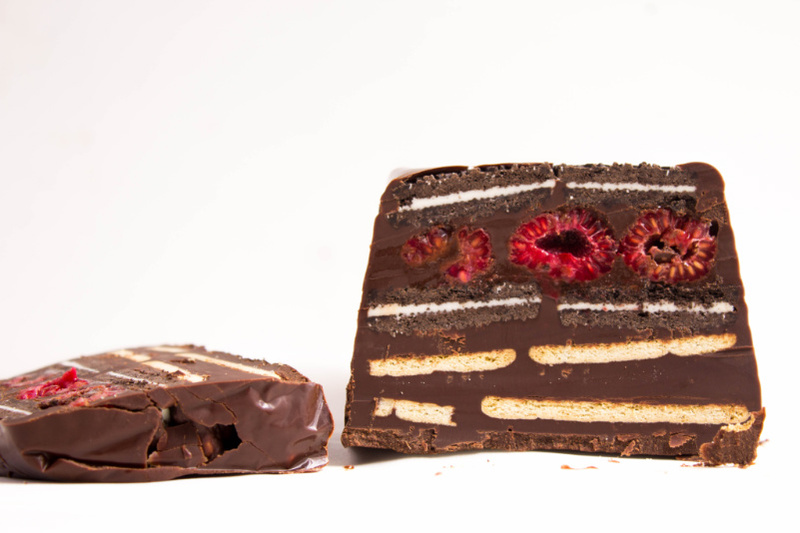 Then start layering: raspberries, chocolate, then oreos, chocolate, cookies, chocolate, and cookies. Be sure to save enough chocolate for the last layer. So, do you have a name for this dish? I would love to hear what variety you like! Sounds like a great combination of flavors and texture. We don’t have anything like it here. . Is the texture more like fudge? I love the fresh raspberries 😍 yummy recipe! No, it is not, it is melted chocolate, which hardened again and some simple and plain cookie sandwiched in there, so it is rather hard and crunchy. I can highly recommend trying it!